Safety boots UK made. 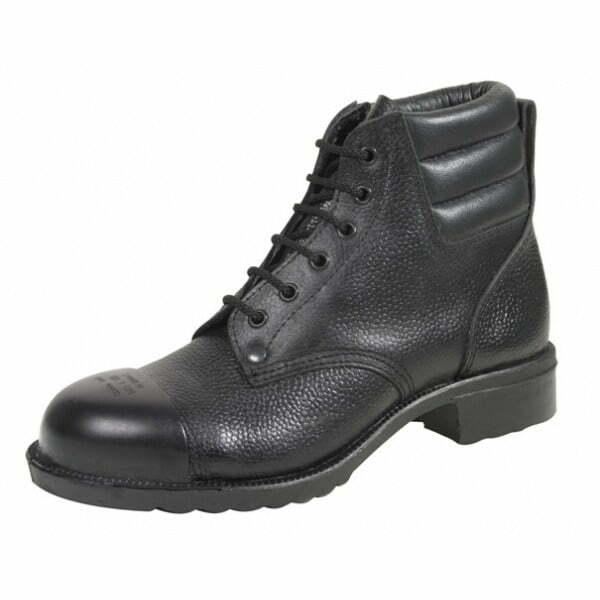 10 eyelet high leg public order style boot with deep padded collar and foam padded upper for added lower leg and ankle protection. 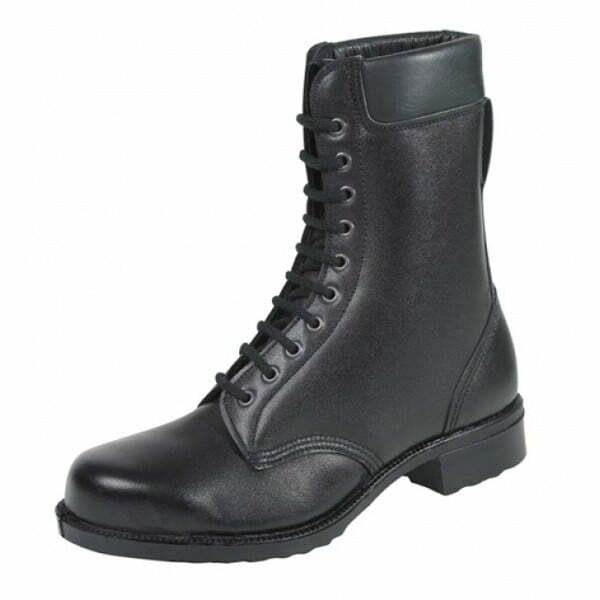 Epoxy coated steel toe caps, and a flexible 300 degree oil and heat resistant military style zig-zag pattern sole which also includes a pierce proof stainless steel midsole. 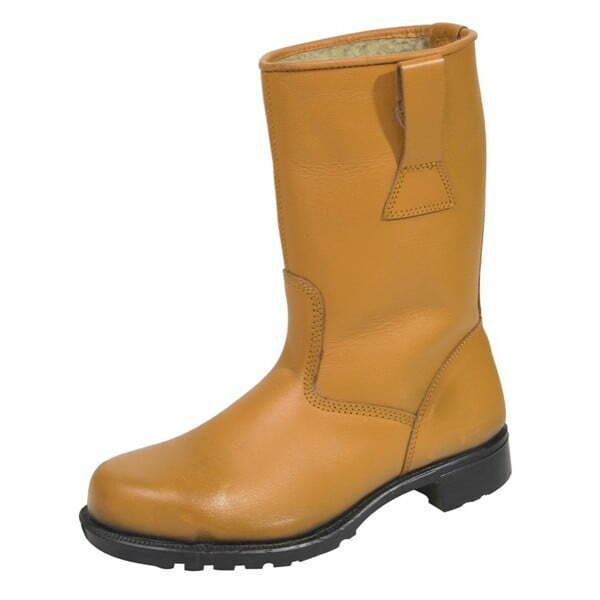 Quality industrial protective work boots from one of the longest established safety footwear manufacturers and suppliers in Britain. 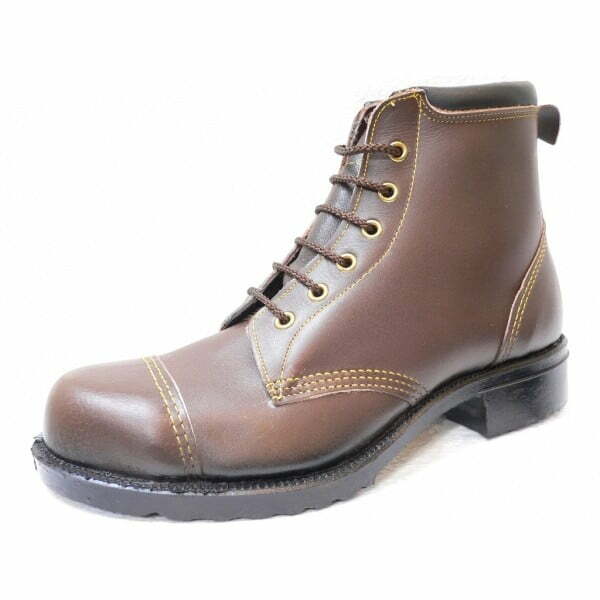 Excellent high quality boots at a low price. Having worn these constantly for four months around eighty hours a week in a heavy construction and demolition environment, plus a twenty mile walk most weeks on Dartmoor I would highly recommend these boots. The quality of the leather and stiching was first class lasting right to the end with out damaged. There was no irritating cloth lining the sort that come undone in about two weeks and you then spend the rest of the time separating your foot from the lining, likewise no lump of plastic at the back by the heal that rubs on your foot. I was able to wear these straight from the box and very comfy they were too. The only draw back is a glued sole they always start to flat on boots in the British wet outside so this is not a fault. I will be returning to purchase another pair of your other boots from the range in the new year plus another pair of these. Ps If these were good year welted then you would have the ultimate boot. 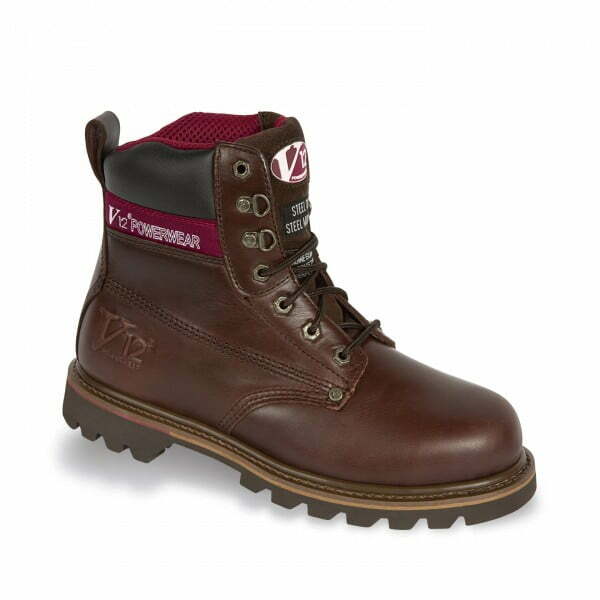 These boots are excellently designed and built with care and precision. All of the pitfalls i have found with other steel toe capped boots are absent. The look of the boots is great too – they are obviously hardy, but the toe does not stick up making it obvious they are steel toe capped. The look is of some classically designed black boots with a clear shape. I’m very happy with this purchase.